Republic Day 2019: Tribal guests from various parts of the country, 22 tableaux of government departments will be part of the parade. Republic Day 2019: South African president Cyril Ramaphosa will be the chief guest at the event. With a vibrant and spectacular parade, India will celebrate its 70th Republic Day tomorrow. This year, South African president Cyril Ramaphosa will be the chief guest at the event. Mr Ramaphosa was invited to be the chief guest by Prime Minister Narendra Modi when the two leaders met on the sidelines of the G20 summit in Argentina. After the announcement, PM Modi had said that his visit will help "cement ties between India and South Africa". Cyril Ramaphosa was elected as South Africa's president in February last year. He went on to become a union leader and one of South Africa's wealthiest business executives. He is a member of the African National Congress's revolutionary vanguard, who rose to prominence as young men fighting the white minority apartheid regime. This Republic Day, Fifty-eight tribal guests from various parts of the country, 22 tableaux of states and central government departments, and performance by school children will be part of the 90-minute parade. Twenty-two tableaux from various states and central government departments on developmental, cultural and historical themes will be part of this year's Republic Day parade. Some of the tableaux on cultural themes will have integrated folk dances, a Home Ministry office memorandum said. 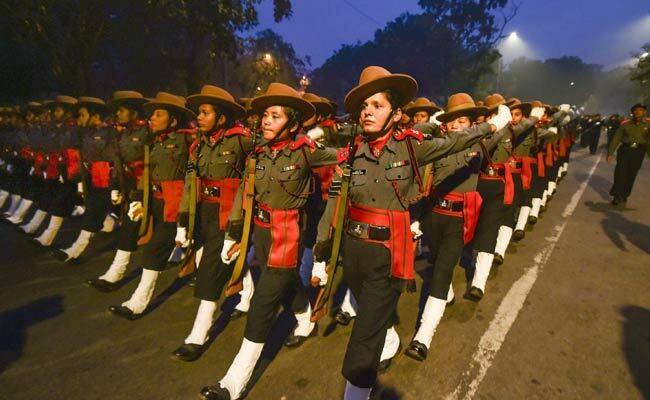 The event is also expected to be a dazzling display of woman power with an all-women Assam Rifles contingent in the lead and a woman officer performing bike stunts on Rajpath as part of an iconic daredevil team. Contingents of the Navy, Army Services Corps and a unit of Corps of Signals will all be led by women officers. In Another first this Republic Day, veterans of Subash Chandra Bose's INA will participate in the parade.